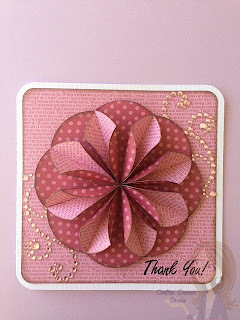 Happy Saturday and welcome to my blog and the Stampin' Up Blog Hop! We are a very short hop - only 10 on the list including me. You should have started at Janis who's the very beginning of the hop! Your next stop is Shirl, but wait, don't go yet! I have an easy project to show you and some blog candy to tell you about. JANIS is your Stampin' Up contact for this hop! So if you see any items used in our projects that you just cannot live another second without, please contact her and place an order! She'd love to hear from you! Who wants to win some BLOG CANDY? 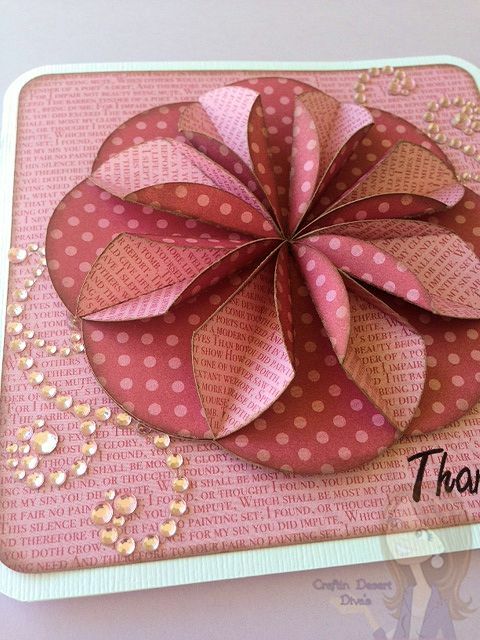 Janis will be sending all 4 of her SU cards she created for this hop to one lucky winner! That's it! Janis will choose one comment from her post and post the winner in the WINNER tab at the top of her blog by Monday, May 13th (but hopefully will have it up by Sunday). The winner will have 1 week to email Janis claiming their prize or the prize goes back in the pot for another give-away at another time. Now hop over to visit Shirl! Tara http://www.craftindesertdivas.com/ You are HERE!! Beautiful card Tara. Love the colors and the added flourish is perfect. Tara this is so beautiful. I love the papers you used and the file is adorable as well. Have a blessed weekend!! Like the pretty flower. Was not able to comment on Nana or Rachelle's site. It indicated FaceBook. I'll ck back later. Beautiful card! Love the paper and that flower is AWESOME!!! I love that card!!! the paper is very pretty! Neat technique. Fabulous card!! Love all of the dimension! Super Card and the 3D flower is Beautiful!! Thanks For Sharing!! This is very Beautiful!! !Your flower is GORGEOUS!!! Wow...this is beautiful! I pinned it to my Pinterest account....really impressive! Beautiful card Tara!! Love the colors and gorgeous design!!! Thanks for sharing and hope you have a GREAT Mother's Day! !